Went above and beyond my expectations. I hit my side mirror in my parking garage and needed repair. I arrived at the shop early in the morning and Jose greeted and welcomed me right away. He took a look at it and brought it into the garage for service. He even offered to drive me to work if needed but due to his fast, professional staff, I was in and out in under an hour. I would recommend them to all my family and friends, hands down! 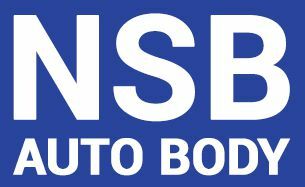 If you ever need body work done on your car, this is the place to go. Jose was honest and direct about the options I had to repair the damage done to my car. Charges were very reasonable, and Jose shopped around to find me the lowest prices on replacement parts. The repairs were prompt and Jose's team are true artists, my car looks as good as new. Customer service is also top rate, I was offerred complementary rides back to my home and when I got my car back, the interior was cleaned and detailed. This is a shop you can trust and rely upon. Excellent service and excellent work. I always use this auto body shop as they are always fair, extremely professional and they make all of the repairs done the right way. Jose and his staff at New Saddle Brook are awesome! They really do such great work and we only use THEM for our auto body needs. Thanks again Guys! I could not speak more highly about he service we received from New Saddlebrook Auto. We chose this shop partly due to the remarkable reviews and they absolutely lived up to their reputation. Jose was so professional, personable and such a kind person. The pricing is very fair, the car was finished in the timeline promised and looked amazing. This will absolutely be our shop for any future repairs. We could not be more satisfied and would absolutely recommend them to anyone looking for body work. I drove back to NJ from NC to visit my family and a car slammed into the back of my car. Jose and his staff have been so helpful and responsive to all questions. I received updated reports and follow ups. He made sure he reviewed all issues with me and did the best on getting me a reasonable price for the repairs. My car is near completion i stopped in to see the work and my car looks great. I m sure it will look even better once detailed. I am so pleased with New Saddle Brook Auto body If i could i d give them 10 stars . I highly recommend them. OMG. I can't believe how I was treated like I was their best friend from the first time I walked in. Months ago I brought my Jeep there for repair to my front bumper on both sides & a dent in the door. With the winter causing me to post pone several times I finally dropped off Sunday night. I was told they needed 1 1/2 weeks for the repairs. Friday afternoon I was told it was done. It looks like new and it's cleaner then when I left it Inside & outside. Christen Jose & Tatiana are the nicest most professional team. I hope I don't need them but if I ever do I will be there. I brought my car here for repairs after another car backed into my driver's side door, and I must say I couldn't be happier with my experience! I first met with Stanley, who was extremely helpful in getting my original estimate squared away with my insurance company. When the time came to drop my car off, the process was simple and straightforward. I continued to receive text updates as my car was being repaired, and they finished earlier than expected. When Jose called to say the car was finished, and I couldn't make it by 5p before they closed, he offered to wait late for me. This kind of above-and-beyond service is what will bring me back to New Saddle Brook Auto Body time and again. I highly recommend them! Simply the best Auto Body Shop anywhere. Been taking all our family cars there for years. Jose is real knowledgeable at his trade and a gentleman. As a matter of fact my vehicle is there now. What more can I say. Thank you Jose! I can't vouch for the quality of work, but based on the previous reviews this place does a great job. I brought in my new car for an estimate for a small dent on the side of the car. The estimate I received was in line with estimates from other places. The manager took his time walking me through and explaining the repair process. However, instead of pushing me to get the dent fixed, the manager actually recommended not fixing it. The repair cost was significant due to the location of the dent. He actually buffed out the scratch free of charge, and the dent was hardly noticeable. I highly recommend this place due to the great customer service. I will definitely be coming back for any future repairs. My experience with New Saddle Brook Auto Body was top notch. Jose was extremely helpful, honest and attentive. He kept me informed of the status of repairs each step of the way. They worked with my insurance company to make it effortless for me. My minivan looks brand new!! I would highly recommend this shop. The man who runs this auto body shop, Jose, is extremely skilled in his craft and is a complete gentleman. After the first time I went there, I knew I would be returning. Although busy with several other customers, I was treated as if I was the only person there. I'm sure all of the other customers would say the same. The customer service is fantastic and the prices are extremely fair. This company is not here to over charge customers; they care about giving a fair price and helping people fix their vehicles in a timely manner.